We are extremely proud of Calan’s Inspire ‘Apprentice of the Year’ award, hot on the heels of his recent runner-up award for Southern Manufacturing Apprentice of the Year. 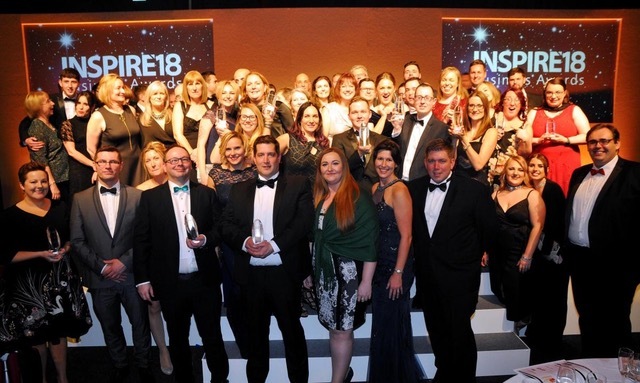 The Inspire Awards celebrate the best of North Hampshire’s businesses and over 500 people attended this year’s prestigious event, organised by Destination Basingstoke. A record-breaking number of entries were submitted before being shortlisted and all finalists, including LG Motion’s electro-mechanical engineering factory in Basingstoke, were visited by the judging panel ahead of the ceremony announcements.